About Why Does It Have To Be Me? 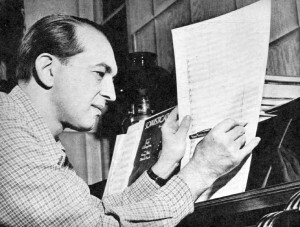 Percy Faith and Carl Sigman wrote this song in 1953. While primarily identified with Tony Bennett, it has also been recorded by Nat King Cole. “Why Does It Have To Be Me?” was recorded on October 13, 1953 and released the following year as a single with “Stranger In Paradise.” It was arranged by Percy Faith.